FuelMaster has undergone extensive fleet testing from major corporations and government municipalities to individual automotive service centers. We have manufactured FuelMaster for several private label companies. The testing was conducted using FuelMaster which is a Patented USA manufactured product. These letters are regarding individual results by satisfied customers using our FuelMaster design. "the results have been truly amazing on our 1998 Ford Windstar vans that we installed the FuelMaster Private Label XL on. We have experienced a significant increase in MPG ranging from 12% to in some cases as high as 23% depending on driving and weather conditions. Additionally there is a noticeable increase in performance and power. While I have not performed any emissions tracking, I can't help believe, based on my fleet experience that we have done very well in that area also. In addition to the obvious advantage of saving significant dollars on fuel, we are also experiencing other very favorable increased productivity, since the vehicles are able to travel farther between fueling. Obviously this relates to less time at gas stations and more time for the driver to be performing his job serving our customers. I have to honestly say that this product seems to be the first legitimate fuel efficiency product that so far passed all of our rigorous testing. I have also researched this product with the vehicle manufacturer to insure that there is not any safety or warranty related issues in utilization of the FuelMaster Private Label on their product, and got manufacturer concurrence on this." "With the purchase of FuelMaster Private Label XL units for our fleet, we contacted our up fitter, one of only 4 authorized FORD up fitters, who would do our installations. They informed us that before they could install the units on our vehicles, they would have to obtain Ford approval with regard to safety and warranty. Ford has given them their approval and as a result of their approval, we are now phasing in the FuelMaster Private Label units into our fleet." "We have completed our comprehensive testing on your product FuelMaster Private Label, using our Crown Victoria Police vehicles. The results have shown an average fuel savings of over 10%! Based on these excellent results, we are immediately going ahead and ordering FuelMaster Private Label for our entire fleet of cars." "I am writing to give you feedback on my experience with the FuelMaster Private Label *. Since installing it in early July, my fuel efficiency keeps getting better and better. So far, I've seen improvement with each fill up. Since installation, I have experienced an increase of approximately 18%. I estimate savings in fuel cost of over $100 in a year's time. In short, I'm sold. (And my car's running just fine)." "You asked me to update you on my experience with the FuelMaster Private Label *. I'm still very pleased with the increase fuel efficiency I have experienced. Even after 3 months, the savings have increased. My average mpg for city driving was 18 before the FuelMaster Private Label *was installed. For the past month I have consistently gotten over 23 mpg or a 27% increase. (At the time of my previous report to you, I had experienced an 18% increase)." ”I feel our testing has been very accurate and conclusive. There is no doubt in my mind that the FuelMaster Private Label XL* unit does everything it is advertised to do and will without a doubt save Plumas County a lot of money” … “As the Equipment Maintenance Supervisor for Plumas County Department of Public Works, I strongly recommend that we equip our entire fleet with the FuelMaster Private Label XL* units”. “all our test trucks have achieved fuel savings of 8-10% over our original base lines. And the fuel savings have continued to date with over 15,000 additional miles” They also seem to be driving smoother. I’m now convinced FuelMaster Private Label *will continue to save us money on fuel for the life of the vehicle. That’s why we have put FuelMaster Private Label *on our entire fleet of trucks and cars. You’ve made a believer in FuelMaster Private Label *out of me ”. "As a Spokesperson and Executive Secretary of the Nassau Suffolk Limousine Association, I would like to let you know of how pleased and satisfied our members are with their purchase of FuelMaster Private Label *for their limousine fleets. Several members have mentioned 15% to 20% fuel savings after installing their units. 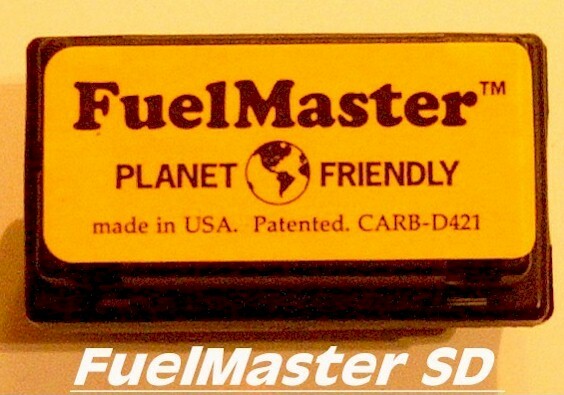 I personally know how well FuelMaster Private Label * works, since I have a unit on my car." "Just a short note to let you know how satisfied I am with your FuelMaster Private Label * product. I have the units installed on my entire fleet and have been experiencing better than 15% in fuel savings. And my Limousines and Sedans seem to be running better. I am so pleased, that my last order you shipped me was for gifts of FuelMaster Private Label * to my friends and family, sort of a gift that gives forever. Thanks again for convincing me to buy the FuelMaster Private Label * , It Works!" "After installing your FuelMaster Private Label *on my Lincoln Town Cars and driving them for the better part of six months, I had to write to you and thank you. My Limo's are averaging around 12% fuel savings, exceeding you conservative estimates. This is even with oxygenated fuel, which we must use in winter months. My drivers are spending less time at the fuel pumps and I'm saving hard-earned money. My cars run smoother, performance is improved and on my last NY State Emissions Inspection, my numbers showed considerable improvement. That's why I continue to purchase your product for every vehicle I add to my fleet." Note * Means FuelMaster Private Label is an Actual FuelMaster Unit private labeled. Therefore our unit produced all the above results.